Forms a protective film on the surface of the skin, avoiding the loss of transepidermal water. Offers a structural element of the skin, highly moisturizing. 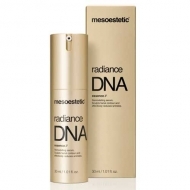 DESCRIPTION: Radiance DNA Intensive Cream from Mesoestetic is a global anti-aging action cream specially created to reactivate vital skin functions, enhancing the protective barrier function. 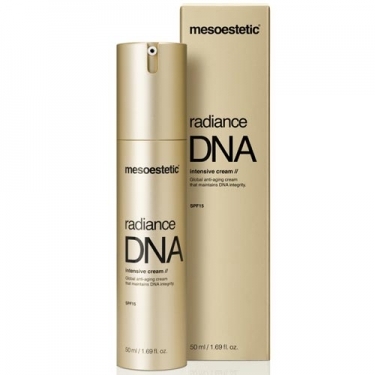 Radiance DNA Intensive Cream incorporates in its formula the powerful [meso] recovery complex, responsible for the stimulation of fibroblasts for the production of collagen and hyaluronic acid, and to enhance the skin's self-defense capacity against oxidative stress. 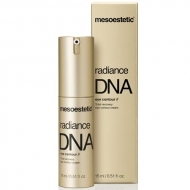 Radiant and luminous, the skin regains its elasticity and firmness, and the wrinkles disappear progressively. 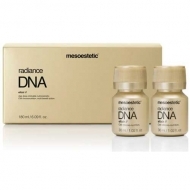 Apply on the face and neck in the morning, as second gesture of antiaging beauty, after radiance DNA essence, insisting on the facial oval, nasogenian grooves, lip contour and area between the eyebrows.